Bette Gordon isn't exactly a prolific filmmaker but she is an indie superstar, making the movies she wants to make in her own way. The result is that we don't get to see a whole lot of her work but when a new one comes around, it's worth taking note. Gordon's latest is The Drowning, a psychological thriller based on Pat Barker's acclaimed novel "Border Crossing." Josh Charles stars as Tom Seymour, as a forensic psychologist who is still haunted by his involvement in a case years before which sent a young boy named Danny Miller to prison for a terrible crime. Now years later, the boy is a young man out on release and he's made a re-appearance in Tom's life and it doesn't appear to be accidental. Along with Charles, the movie also stars Julia Stiles and Avan Jogia as Danny. 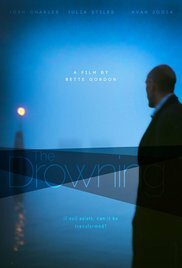 The Drowning looks very much in keeping with Gordon's previous movies which tackle themes of power, sexuality and violence in low-key, character-driven dramas. The Drowning opens theatrically at the IFC Centre in NY on May 10 with a national rollout to follow.